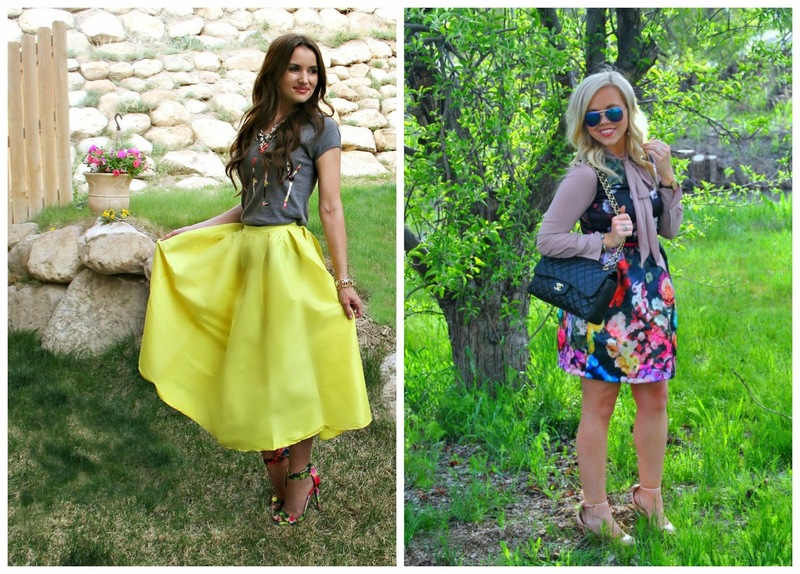 Today I am teaming up with the amazing Erin from The Fashion Canvas, to show your how we style our spring florals! Erin is probably one of my all time favorite bloggers. I honestly cannot say she has ever posted anything I did not absolutely love. Seriously you guys, you need to follow this gorgeous girl! So without further ado, meet Erin. I'm in love with that yellow skirt. It looks great with the T! Wow! You look so glamourous! The full skirt is lovely! Love both your looks! Thanks for sharing. Our Wifey Tee looks absolutely fabulous on you. That skirt is to die for too! I just discovered your blog through another site and I love it– you have such great style! Love both of your floral looks! Your Choices skirt is stunning! That skirt is fabulous! And it looks great with the floral heels. Thanks for linking up! Hope to see you back tomorrow! i love the floral heels. Why are you the cutest ever!? Another amazing outfit! Thanks for sharing! I am SO in love with midi skirts, thanks for the tip on finding one a great price! And that is the cutest wifey tee – pairs perfectly with those shoes!! Oh my goodness girl, you look AMAZING! perfect spring outfit! love it all!